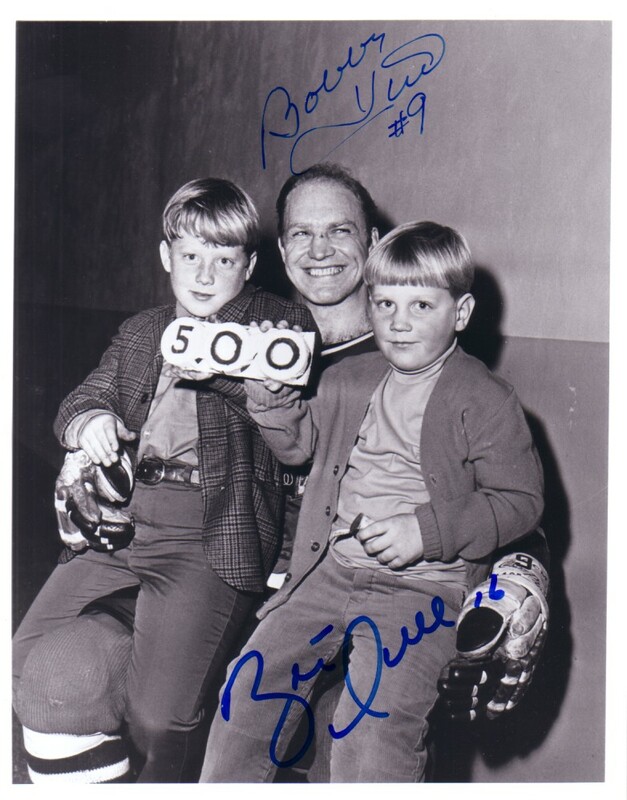 Vintage 8x10 of legendary scorer Bobby Hull and two of his sons (including Brett) after scoring his 500th career NHL goal on Feb. 21, 1970, autographed in blue marker by both Bobby and Brett, who later joined his dad by also reaching the 500 and 600 goal plateaus. With certificate of authenticity from AutographsForSale.com. ONLY ONE AVAILABLE FOR SALE.